← Is It OK To Eat Food That Fell On The Floor? Synthetic Hormones Lose in Court. I often get women telling me that when they visited their GP/specialist, she/he got very angry with them when told they were on BHRT. The Dr told them that BHRT is not FDA approved, is made up by unregistered compounding chemists with no proper controls, and that these hormones are dangerous and cause cancer and so on. Besides this being incorrect, I then have to spend considerable time explaining the evidence and research into BHRT. I would rather spend this time helping that person with their problems . I can understand the confusion patients suffer, when a doctor or specialist they like and trust tells them this – what are they to believe? I do my best with this web-site to give you a balanced view, and the information you need to be able to answer these attacks on BHRT. At the moment over 50% of all American women on menopausal hormones are using bioidentical HRT, in spite of the efforts of their doctors to dissuade them from doing so. (see my blog of last week). They can’t all be wrong. The article below further explains what is happening. Just by the way, while the pharmaceutical companies have been frequently sued over their flawed products which have harmed them, I cannot find anyone suing their doctors for using BHRT. Further, in direct comparison of synthetic HRT vs BHRT, every study has shown BHRT to be safer and leading to a better quality of life. In Australia “Prempro” goes under the name “Premia” and is a combination of Premarin and Provera, and variants of that name. A 112 million dollar punitive award is a very loud statement. It states that the jury was outraged by the “wanton and reckless”conduct by Wyeth. 112 Million Dollars in punitive damages was awarded to two breast cancer victims who took Wyeth’s synthetic hormone, Prempro, all the while thinking it safe. 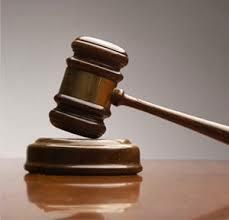 The jury was outraged that Wyeth ignored and suppressed evidence that Prempro causes breast cancer. Wyeth paid consultants and ghostwriters of medical journal articles to play down concerns about breast cancer, and declined to study known risks. Once again, company profit was placed ahead of patient safety. This is the tip of the iceberg, as another ten thousand cases are waiting for their day in court. This Prempro court case teaches us an important lesson. When a “Bad Drug” like Prempro gets FDA approval and placed on the market, what happens? The public is hoodwinked, and the drug company profits handsomely. The wheels of justice turn slowly. After 65 years and thousands of victims, our court system has finally ended a bad drug, in this case, a synthetic hormone called Prempro. Left image show how to chemically alter a natural bioidentical hormone by adding chemical groups. This is done in order to obtain a patent on the new chemical structure which protects profits for the drug company. This is a bad idea because any alteration of a hormone creates a MONSTER. 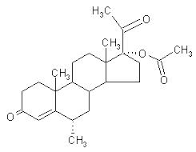 Left image medroxyprogesterone. Another important lesson from this case is that synthetic hormones like Prempro, which are chemically altered versions of human hormones, are all “Monster Hormones” which should never have been approved by the FDA in the first place. Any alteration in a chemical structure of a hormone creates a Monster, and in the case of Prempro, the result is increased cancer and heart disease. The drug companies changed the chemical structure of human hormones to obtain patent protection and maximize profits. Human bioidentical hormones cannot be patented because they are found naturally in the human body, therefore they are not profitable for the drug companies. 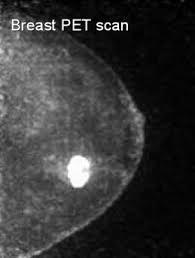 Left Image : Bright spot represents breast cancer on PET mammogram combined imaging. Drug companies routinely use their influence to control information in the mainstream media and the medical journals. They downplay adverse side effects of their products in order to maximize profits. This is merely part of the Medical Information War played out in the media every day. This case highlights another important lesson. While the chemically altered synthetic hormones like Prempro are dangerous, the original version from nature, called Bioidentical hormones are safe, effective and beneficial for health. June 19 (Bloomberg) by Jef Feeley — Pfizer Inc. has paid $896 million to resolve about 60 percent of the cases alleging its menopause drugs caused cancer in women. Pfizer has now settled about 6,000 lawsuits that claim Prempro and other hormone-replacement drugs caused breast cancer, and it has set aside an additional $330 million to resolve the remaining 4,000 suits, according to a filing with the U.S. Securities and Exchange Commission. The reserve means New York-based Pfizer has committed more than $1.2 billion to resolving claims that its Wyeth and Pharmacia & Upjohn units failed to properly warn women about the menopause drugs’ health risk. Based on the May 10 filing, the company is paying an average of about $150,000 a case. Article in Huffington Post by SWHR. Just when things have calmed down, the Drug Industry opens a new salvo in its war against bioidentical hormones, perceived as unfairly stealing market share from their flaghip hormone pill, Prempro, a synthetic chemical currently in litigation for causing cancer and heart disease. This time the attack appeared in the Huffington Post, with anarticle by Phyllis Greenberger, CEO of Society for Women’s Health Research, an industry sponsored mouthpiece which funnels money from the drug industry to doctors for research grants, speaking engagements, meetings and even gala celebrations. Upper left image courtesy of Huffington Post, Phyllis Greenberger,and SWHR. Although I am grateful to Phyllis Grenberger for giving me a topic to write about, I must confess astonishment with such a twisted and distorted collection of untruths, and deception nonsense all in one place. Apparently, having the drug industry as one’s corporate master requires regurgitation of old marketing propaganda, even if it doesn’t make any sense. Even to the most casual observer, this Huffing Post piece is a blatant attempt to discredit bioidentical hormones using fallacies, innuendo, and misinformtion. Much of this material was covered in my previous book, Bioidentical Hormones 101. This is blatantly incorrect. There are twenty or so FDA approved bioidentical hormone preparations widely available at corner drug stores. Here are a few examples: Vivelle-Dot, Estrace, Climara, Prometrium, Androgel, etc. This is misleading and deceptive. Compounding pharmacies are regulated at the state level, and do not fall under FDA jurisdiction. So, of course compounding is not FDA approved. No FDA approval is required or even desired. Your local hospital pharmacy is a compounding pharmacy that makes up life-saving medication such as IV antibiotics with no FDA oversight or approval. The FDA approval process is designed for manufacturer capsules and tablets, and is impractical and unnecessary for compounded medications prepared to order by hand. Are we going to reject IV antibiotics from the hospital pharmacy because these are non-FDA approved compounded medication? Of course not. Compounding is here to stay. 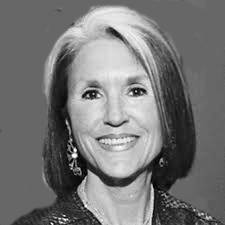 The author, Phyllis Greenberger brings up a 2007 report of three cases of endometrial cancer in women on bioidentical hormones, implying that synthetic PremPro prevents endometrial cancer wheras biodentical hormones do not. This is a blatant lie. 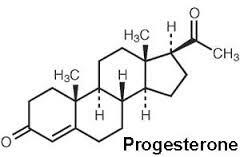 Prempro contains a synthetic progestin which reduces the incidence of endometrial cancer. However, this is not reduced to zero. The author conveniently neglected to mention the 66 cases of endometrial cancer in Prempro treated women.as reported in the Women’s Health Initiative Study. Dr. Rowan T. Chlebowski reported on the WHI data after 13.2 years of follow-up. He said there were 66 endometrial cancers among women given PremPro (premarin and medroxyprogesterone). There were 95 cases of endometrial cancer in the placebo group. A “Bad Drug” in Litigation ? One easy way to determine if you are dealing with a “bad drug” is to ask the question: Is this drug in litigation ? For Prempro and synthetic “FDA approved” women’s hormones, the answer is yes, Prempro has been in litigation for years now. Pfizer, the company that bought Wyeth, has paid almost a billion dollars to settle 6,000 lawsuits by women who claimed the drug caused their breast cancer. This information should have been included, yet was conveniently omitted from the Huffington Post article by Phyllis Greenberger. The Women’s Health Initiative (WHI) study was terminated early in 2002, because the data showed increased risk of breast cancer and heart disease in the synthetic hormone treated group given Prempro. This information prompted intelligent women to abandon synthetic hormones. Instead they switched to bioidentical hormones, same as estrogen and progesterone produced by the ovary. The massive switch to bioidentical hormones produced an immediate decline in breast cancer rates of about nine per cent. (9,10) Left image: Abandoning the Sinking Ship courtesy of wikimedia commons. 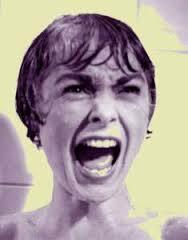 It is time to awaken from the nightmare of synthetic hormones, known for decades to cause cancer and heart disease. The drug industry can spin, and deceive us with misinformation and propaganda, however, the truth is clearly seen. Synthetic hormones remain monsters that should be avoided. Sadly, nowhere in this Huffington Post article was this important message stated. Posted on May 29, 2015, in Uncategorized. Bookmark the permalink. 2 Comments. Thank you for standing up for women and for the clinical research you provide through these blogs! Great to see this debate being discussed here. I’ve never seen any complications with BHRT in over 9 years and many of these women are not prepared to stop either. Along with the results we have years and years of research on these hormones being compounded into different dosage forms with great data on absorption and efficacy! Great story!